Troubled boys from Maryland can find help and relief from substance abuse treatment programs. Liahona Academy is a residential treatment center that has developed an excellent and effective substance abuse treatment program that has assisted troubled teens from Maryland get the therapeutic intervention needed to make positive life changes that will help them succeed in life, free from substance use and abuse. Call Liahona Academy today at 1-800-675-8101 and speak with our admissions office about substance abuse treatment programs and Liahona Academy. The adolescent stage of life is full of challenges and unexpected turns. Teens are in a constant battle with themselves, trying to identify who they are and what kind of person they want to be in adulthood. Sometimes, difficult situations present themselves and become too much to handle for teens in this stage. This can result in negative changes in behavior and personality that can be destructive to the positive, continual growth of a teen. As the parent of a troubled teen, it is important to be aware of the common signs of substance use and abuse. Being able to identify the signs early on can make the difference between drug use and a full-blown addiction. The signs listed above are serious inclinations that your troubled boy from Maryland could be struggling with substance use and abuse. If you are noticing these signs with more consistency in your child, the time to start seeking therapeutic help is now. It is important to fully research all treatment options and substance abuse treatment programs. 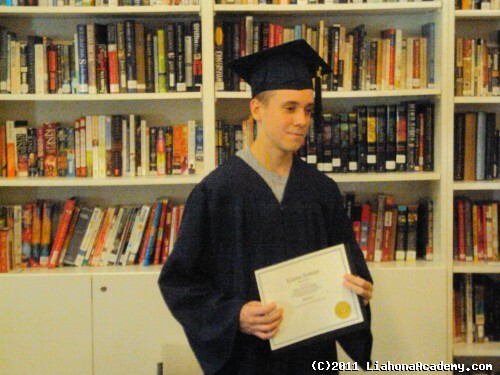 Most teens find the best success in recovery from substance abuse treatment programs offered in residential treatment centers like Liahona Academy. Liahona Academy has helped thousands of troubled boys from all over the nation, including Maryland. Our substance abuse treatment programs allow boys to focus on identifying the main underlying issue that is the main cause for the dependence of substances. They are able to work on strengthening themselves physically, mentally, and emotionally to help them learn healthier ways of dealing with difficult situations presented in their lives. We have developed a variety of therapeutic programs and activities for teens to engage in, because we want to see them succeed and rise to their full potential. At Liahona Academy, we are offering you and your troubled boy from Maryland hope and help. We have seen the negative effects of substance use and addiction on teens and their loved ones, and we are ready to free you of the stress and pain that you are currently experiencing. Call Liahona Academy today at 1-800-675-8101 and get started.